Fylde RFC build toward the National Two North campaign with warm-up matches on the next two Saturdays. They visit Kirkby Lonsdale tomorrow before a double-header against Ampthill at the Woodlands on August 25, when the clubs’ second XVs will clash at 2pm followed by their senior sides at 4pm. Both Fylde squads will also be in action during Saturday’s first-ever visit to Kirkby Lonsdale’s Underley Park, when both the first and second XV matches kick-off off at 3pm. The vast majority of the Fylde squad from last season remain, with a few new faces. Lancashire U20s prop Elliot Horner will make a speedy return to Kirkby Lonsdale after spending last season there, while former Sandbach scrum-half Cameron Crampton and ex-Ballymena back rower Ben O’Ryan are also likely to make their bows for Fylde. The Claret and Golds’ coaches hope the experience gained by their young players in National One last season will prepare them well for the campaign at the lower level, which begins at home to Otley on September 1. 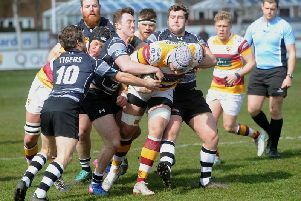 Kirkby Lonsdale have slowly climbed the RFU league structure and are now Cumbria’s highest-ranked club, competing a level below Fylde in the North Premier Division. They have appointed a new coaching team over the summer, headed by Scott Armstrong and assistant Gareth Gore, both former Fylde players. Kirkby Lonsdale ran Fylde’s league rivals Wharfedale close last weekend, eventually losing 24-18, and should provide challenging opposition for on Saturday.